When the moon is in the Seventh House and Jupiter aligns with Mars. Then peace will guide the planets and love will steer the stars. This is the dawning of the Age of Aquarius. Harmony and understand, sympathy and trust abounding; no more falsehoods or derisions, golden living dreams of visions, mystic crystal revelation and the mind’s true liberation – Aquarius! “Aquarius/Let the Sunshine In” is a medley of two songs from the musical Hair. It was released as a single in 1969 by The 5th Dimension. The single held the number one position on the U.S. Billboard Hot 100 for six weeks and was certified Platinum. The song was based on the astrological belief that the world would be entering the Age of Aquarius, an age of love, light and humanity, unlike the then current Age of Pisces. This change was presumed to occur at the end of the 20th Century however major astrologers differ over this. According to Wikipedia, the New Age (also known as the New Age Movement, New Age spirituality, and Cosmic Humanism) is a decentralized Western social and spiritual movement that seeks “Universal Truth” and the attainment of the highest individual human potential. It includes aspects of astrology, esotericism, metaphysics, alternative medicine, music, collectivism, sustainability, and nature and pseudo-scientific interpretations of cosmology. New Age spirituality is characterized by an individual approach to spiritual practices and philosophies, and the rejection of religious doctrine and dogma. New Age practices and philosophies sometimes draw inspiration from major world religions: Buddhism, Chinese folk religion, Christianity, Hinduism, Islam, Judaism; with particularly strong influences from East Asian religions, Gnosticism, Neopaganism, New Thought, Spiritualism, Theosophy, Universalism, and Western esotericism. Additional terms for this movement include All is One and Mind-Body-Spirit. According to astrologists, on August 16th and 17th 1987, a grand conjunction called the “Harmonic Convergence” occurred that consisted of a number of planets in Leo that trined Jupiter in Aries, and also trined Saturn and Uranus in Sagittarius. A trine is an astrologically favorable positioning of two celestial bodies 120° apart. That event supposedly initiated a spiritual humanity factor and mother Earth, which restored Mother Earth’s identity and spiritual nature as humankind converged harmonically in a major unification of souls with purpose on this planet. When you enter the land the LORD your God is giving you, do not learn to imitate the detestable ways of the nations there. Let no one be found among you who sacrifices his son or daughter in the fire, who practices divination or sorcery, interprets omens, engages in witchcraft, or casts spells, or who is a medium or spiritist or who consults the dead. Anyone who does these things is detestable to the LORD, and because of these detestable practices the LORD your God will drive out those nations before you. You must be blameless before the LORD your God. The nations you will dispossess listen to those who practice sorcery or divination. But as for you, the LORD your God has not permitted you to do so. New Age practices and philosophies are abominable in the sight of the LORD. Mystic crystal revelation, Gnosticism and Universal Truth each are terms that mask the same old lie that the serpent spewed forth in the Garden of Eden – if you eat of the Tree of the Knowledge of Good and Evil then you will be like God. According to the web site: The Ascended Masters – Who They Are , compiled by Dee Finney an Ascended Master is a being who has become Self-Realized and serves humanity; a being who has raised his/her vibration to a sustained frequency of light. He/she can come and go at will from the earth plane without the Birth//Death cycle. The Ascended Masters have worked with mankind throughout the centuries. Most of the time in the past, the Ascended Masters have worked in the background. Self-Realization is the awareness of our complete and indivisible union with God, which we are. This also means that the ego-self has come to know itself so clearly, so lovingly, so wisely that it is no longer run by the Shadow. When one is in the Illumined State or Self-Realize there ceases to be any more inner or outer drama. The personal ego-self has surrendered fully and willingly into the loving embrace of the Soul. According to New Age thinking, throughout the ages, mankind has been visited by rare individuals whose sole purpose is the spiritual upliftment of humanity. Jesus Christ was one of these visitors, as were Shakyamuni Buddha and Mohammed. These three are well known to us, but there are many others whose names we do not know; some taught publicly, and where known by a few, and others remained anonymous. These individuals were called by different names, at different times, in different countries. They have been referred to as: Ascended Masters, Avatar, Enlightened One, Savior, Messiah, Divine Mother, Messenger, Guru, Living Saint, and the like. They came to offer us what has been called: Enlightenment, Salvation, Realization, Liberation, or Awakening. The words used may be different, but in essence they all mean the same thing. Plato, the Greek philosopher, taught that there are 5 elements: Fire, Earth, Water, Air and Aether (Ether). The last element, Aether, can best be described as pure energy or light. It is the stuff of the eternities. Gnosticism, holds that mankind is nothing more or less than Aether trapped in a physical world and held there by Satan (they called him the demi-urge). Through multiple reincarnations, they held, a man or woman could become purified and ultimately freed from the other elements. New Age religions call those with perfect Aether content, Ascendant Masters. Lord Krishna was incarnated 5000 years ago as the Supreme Personality of Godhead. Born as a cowherd boy, Krishna displayed his perfect divinity with the all attractive features of wealth, power, fame, beauty, wisdom and detachment. He was a slayer of demonic tyrants and enchanted all with the music of his flute. It is said that he overshadowed Jesus 2000 years ago, and Krishna is believed by some to have reappeared as Lord Maitreya in modern times. A mantra is a sound symbol of one or more syllables often used to induce a mystical state. It must be passed on by the living voice of a guru and cannot be learned any other way. The user need not understand the meaning of the mantra; the virtue is in the repetition of the sound. It is said to embody a spirit or deity and, the repetition of the mantra calls this being to the one repeating it. Thus the mantra both invites a particular being to enter the one using it and also creates a passive state in the meditator to facilitate this fusion of beings (demonization). The Hare Krishna mantra appears in a number of famous songs, notably those sung by The Beatles and after their break up, those of George Harrison and Ringo Starr. The Hare Krishna mantra has been at the number-one spot in the UK singles charts on more than one occasion within songs such as “My Sweet Lord.” Therefore anyone who sings the lyrics to “My Sweet Lord” are chanting the Hare Krishna mantra and are inviting an unclean spirit to enter into them so that the two may be fused together. Gautama Buddha is another well known Ascended Master. He taught detachment and the middle way. The Buddha represents the wisdom energy while Christ is the love energy and they are brother\sister equal energies. Ascended 2500 years ago, Buddha “gave it all up” to find meaning in life and the reason why some suffered so much. It was during a meditation under the Bodhi Tree that he received Enlightenment. Buddhism was formed out of his Teachings. Zoroaster was an Iranian religious reformer and founder of Zoroastrianism. Zoroaster was connected with occult knowledge and magical practices in the Hellenistic Age. 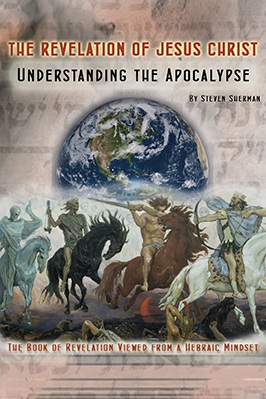 The so-called Ascended Masters’ list also includes Jesus Christ, Only Begotten Son of God, Lord and Savior, Incarnation of the Word, the Universal Christ (the Word Incarnate), Cosmic Christ, World Savior, World Teacher, Yeshua, the Messiah of Israel, Avatar of the Piscean Age – the example of the Christ Consciousness that was to have been out pictured in that two-thousand year Dispensation. Speaking of the Christ Consciousness as the Avatar or Ascended Master of the Piscean Age, Avatar the movie reportedly cost as much as $300 million to produce and market. Some believe the film could hit $1 billion in box office sales. Avatar is replete with New Age philosophies including pantheism, parallels to Gaia worship, All is One, environmentalism, Gnosticism and even the fusing of two beings as in Yoga. Meher Baba, a great Indian master born in 1894. A profound being of light and wisdom, he was strongly connected with Sufism. He did not speak from 1925 until he left his body in 1969. “Don’t worry, be happy” comes from him, a simple phrase which, if followed, is a life-transformer! The book God Speaks shares his teachings and aspects of his life. Mary Magdalene the “Disciple of disciples” and the wife of Jesus, is named as another Ascended Master. Because of her power and popularity the early church fathers slandered her and did all that they could to cover up her true relationship with Jesus. She has no relationship at all to the nameless adulteress mentioned in the Bible. Many believe that Mary Magdalene and Jesus bloodline is the long-sought Holy Grail. This lie from the pit was the core theme of the book and movie known as The DaVinci Code. Many of the early showings were accompanied by protesters outside the movie theaters, and early critical reviews were decidedly negative. However, the film earned over $230 million US dollars worldwide in its opening weekend, which at the time was the third biggest opening in history. Babaji is the immortal master of the Himalayas, known as the deathless avatar. He was initiated into Kriya Yoga and became the greatest Siddha or Perfected Master ever known. After ascension he promised to stay in his physical body to help all humanity and still appears to groups of disciples. Yogananda writes about him in Autobiography of a Yogi. It is said that you only have to say his name with reverence and you directly attract a blessing from him. Other names Ascended Masters of which you may be familiar with are Melchizedek, Enoch, Confucius, Hermes and Mother Mary. When I find myself in times of trouble, Mother Mary comes to me, speaking words of wisdom. Let it be. And in my hour of darkness, she is standing right in front of me, speaking words of wisdom. Let it be. have helped indoctrinate many in the west with New Age beliefs. It is understandable that as our culture becomes more secularized that it would embrace New Age doctrines of demons, but what about the Christian Church? 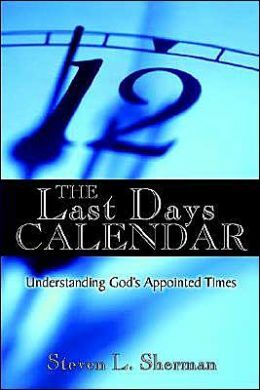 When the disciples asked Jesus what would characterize the last days just prior to His return, He explained that it would be a time of the worst religious deception the world had ever seen. Jesus said that sound doctrine would be despised and wondered if there would be any faith left whatsoever on the earth when He returned (Luke 18:8). He gave His disciples a solemn warning: “Take heed that no man deceive you” (Matt. 24:2,5,11,24). He characterized the last days as a time of religious deception – or – deception in religion such as false messiahs, false prophets, false miracles, and false doctrines. All four were prophesied to band together to pave the way for the Antichrist (Matt. 24:24-25). If your church is using this language then there is a good chance your church has been infiltrated with the New Age agenda. When Marianne Williamson (not the author of A Course in Miracles) wrote her own book, Reflections on Love, based on the Course, Oprah Winfrey promoted Williamson on her show, and the book skyrocketed. To understand Marianne Williamson, one must understand A Course in Miracles. This new Revelation began in 1965 when Helen Schucman, an Associate professor of Medical Psychology at Columbia University in New York, began receiving channeled messages from a speaker who would later identify himself as Jesus Christ. The New Age Plan To Defeat Christianity by Sherry Shriner states that New Agers have claimed for years that we can bring anything we want to into existence through visualization such as good health and success because we can create our own reality. It is one of the fastest ways into the occult imposing your own will upon God and other people. These mind manipulating techniques for creating health, wealth, or spiritual power are not new; they have always been a part of the occult. It is simply a devise by Satan to get a person to trust in their own imagination rather than God. The Apostle Peter said, “Humble yourselves, therefore, under the mighty hand of God that He may exalt you at the proper time” (I Peter 5:6). Positive Thinking or “Positive Christianity” has no room for sin, repentance, or guilt. In fact it is merely occultism dressed in Christian language virtually taking over America. Those who promote Positive Thinking, Possibility Thinking, and Positive Confession are among the most influential church leaders and preachers in the country. New Agers know that the word “positive” is a catch-all word. If they said what they really meant, “damnable thinking” and “damnable confession” they wouldn’t’ have half the success they’re enjoying amongst themselves today deceiving many, many Christians worldwide. Almost any “positive” belief supports the delusion of infinite human potential, throws in self-esteem and self-worth and concerns itself with social justice through humanistic efforts. Patrica King claims to have seen the manifestation of Angel Orbs and Gold Dust in her meetings, experienced Astral Travel, has ascended to the Third Heaven and promotes these practices in her teachings. Patricia King talks a lot about Angel Orbs. Nowhere do you find this in the Bible, however you do find references to orbs in occult books such as Hermetical writings by various authors. There is a demonic power behind these manifestations and there is a danger in this. “La Clef des Grands Mystères” (The Key to the Great Mysteries) written by Eliphas Levi states on page 98: And while all this tumult was going on at the bottom of the church, the singing of the litanies continued in the choir, as the harmony of the orbs of heaven goes on forever, careless in our revolations and of our anguish. Orbs are also mentioned in “The third and last Book of Magick, or Occult Philosophy” written by Henry Cornelius Agrippa and Helena Blavatsky, co-founder of the Theosophical Society. Acccording to Patricia King “Many times in meetings or in devotional times, signs and wonders will manifest such as gold dust, gemstones, diamond glitter, oil, feathers, manna and many other things. In the Bibles these would be referred to as signs and wonders” (see Acts 2:17-19). But Acts 2:17-19 is not what Patricia Kings describes. The signs and wonders that God is talking about is clearly described in the text: Verse 19: I will show wonders in the heaven above and signs on the earth below, blood and fire and billows of smoke. Todd Bentley received his spiritual impartation from “Prophet” Bob Jones of the Kansas City Prophets. This is the man who had young ladies strip naked before him to receive a prophetic word from him in private, and who claimed Jesus told him when he was in mental asylum he had to kill or forgive people to get his mind back, and from whom other spiritual abuses and elitism came from. Bob Jones was then, and is still, a heretical false prophet – his words and practices are abusive and often weird (e.g. he claims his hands change color to indicate spiritual conditions), his theology is “Latter Rain Manifest Sons of God Dominionism.” Many of his prophetic words miss the mark – scripturally and also historically. (But he claims that it’s not only ok to miss the mark, but it is to be expected as the church is not ready apparently for prophetic accuracy!) So therefore for someone to claim they got something spiritually imparted to them from Bob Jones is worrying. Bentley was raised mainly in Gibsons, British Columbia, which is a small community on the western coast of Canada. Bentley’s parents divorced while he was a child and he struggled with drug and alcohol addiction. He engaged in criminal gang activities which resulted in a 1991 conviction for sexually assaulting a seven-year-old British Columbia boy. Bentley credits his conversion to Jesus Christ for a change of lifestyle at 18. It was at this point that he began his Christian ministry. In 1998, the Fresh Fire Ministry group asked Bentley to give his testimony at one of their weekly meetings. Soon after, Bentley took over the leadership of the group, which became more of a revival movement. Bentley’s talent for this kind of charismatic preaching made him popular as a guest evangelist and speaker. He traveled to India, Africa, and South America taking part in religious crusades and revivals. Beginning on April 2, 2008, Bentley was invited by Stephen Strader, pastor of Ignited Church, Lakeland, Florida, to lead a one-week revival. The revival quickly became a religious and media phenomenon, attracting up to 10,000 attendees nightly with Bentley as the primary preacher. In addition to showcasing Bentley’s evangelism, the revival featured colorful light shows and power-chord Christian rock music. The Ignited Church also took a multimedia approach to publicizing the event, posting webcasts online. The revival streamed live via Ustream – which received over 1 million hits in the first five weeks of transmissions. After the initial weeks, GOD TV, a religious satellite channel, decided to pre-empt its primetime programming and broadcast the Lakeland meetings nightly. Bentley’s testimony includes a visitation to Heaven and meeting with Paul the Apostle. He has also preached about an encounter with an angel he called ‘Emma’ at an Assemblies of God church in 2001. The female angel gave him a vision of gold coins, and Bentley states this was a sign of his future financial stability. In response to criticism about the Biblical inspiration of a female angel, Bentley wrote that it was God’s choice, and not his own, that an angel appeared to him in that manner. EMMA-O is the King of Hell. The Japanese Buddhist god of the underworld. Bentley’s physical appearance has been noted for being very unconventional for that of an evangelist. He has dozens of tattoos, multiple facial piercings, and a preference for t-shirts over ties. Bentley’s preaching style is also flamboyant, known for mannerisms like shouting ‘Bam! !’ during his delivery. Bentley has “Joel’s Army” tattooed across his sternum with military dog tags, showing his commitment to the Latter Rain doctrine of the Manifest Sons of God, (or Man-Child Generation) as preached by William M. Branham and George Warnock. Branham started off as a Baptist and then changed over to a Oneness Pentecostal. He vehemently denied the Trinity of God and took a strong “Jesus Only” stance in regards to the godhead. This alone places him in the ranks of earlier heretics. Branham taught a works salvation and believed in UFOs. Branham who preached heresy was one of the founders of the Latter Rain Movement. George Warnock, who was also instrumental in founding this movement, wrote his book, The Feast of Tabernacles, in 1951. In this book he laid out a specific doctrine for the Latter Rain Movement, and for those who came after. He taught that the Church was about to usher in the completion of God’s feasts for Israel, through perfection of the saints and their dominion over the earth. Todd Bentley’s mentor Bob Jones introduced Bentley to both his demonic spirit guide, Emma and to the theology of the Latter Rain Movement and its false teaching of dominionism. Christians will not regain dominion over the earth until we go through a time of great persecution, are raptured and then return in our glorified bodies to rule and reign with Messiah Jesus for 1,000 years. Angel Orbs, gold dust, astral travel, barking in the spirit, positive thinking, visualization, angel feathers, female angels, a course on miracles, heavenly visitations, the Latter Rain Movement are just some of the heretical teachings and New Age practices found in the church in these last days.